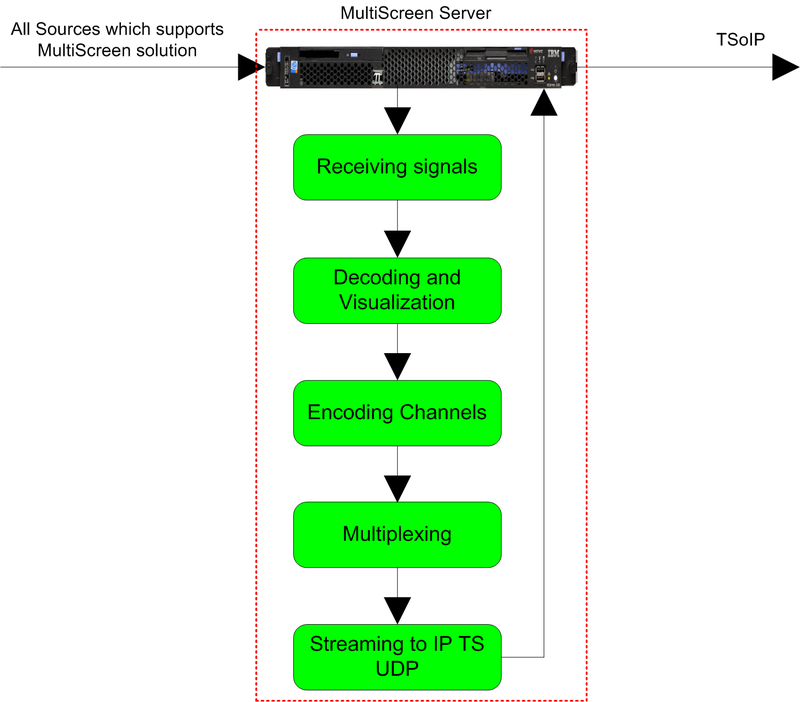 MultiScreen allows encoding of video, incoming from different sources to IP TS. 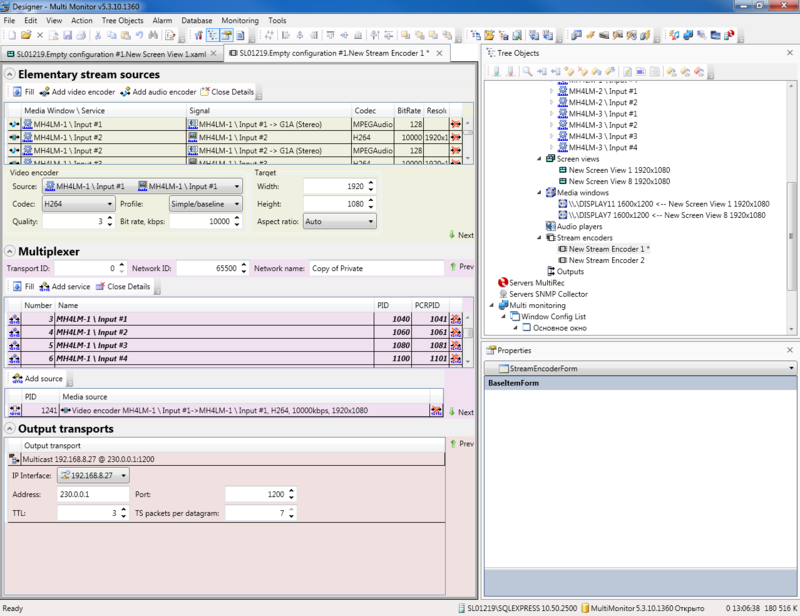 DVB-S/S2 Ability to specify the service name in SDT table for each channel. 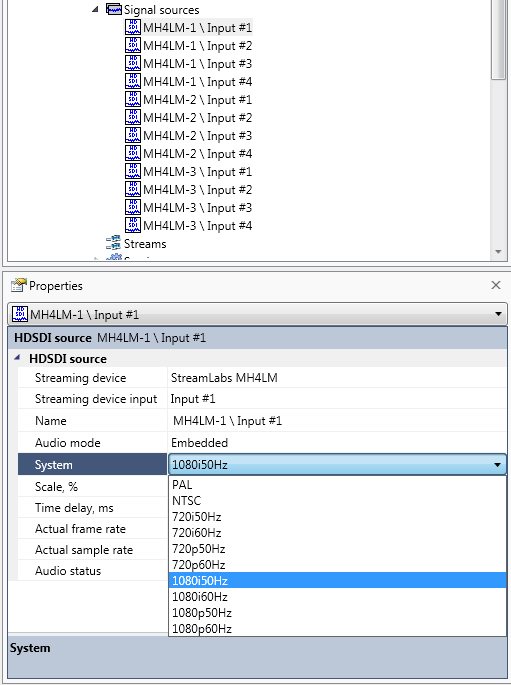 Settings of Encoder for SDI sources: Multiplexer produces MPTS from a few different Sources.